Buy now from Amazon.com for $4. Caring for children damaged by abuse and delay is a tough and often thankless job. What Foster Parents Need to Know is a no-nonsense book by professionals and foster parents about how to navigate the system, deal with problem behavior, and be effective. A brief opening section describes how to keep a journal online or in a handy notebook. 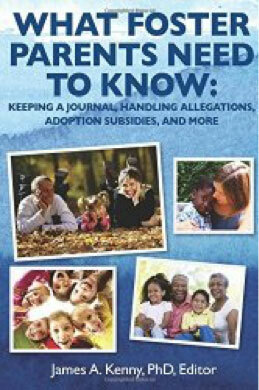 Keeping such a diary is easy and will provide valuable documentation for dealing with allegations, going to court in disputed adoptions, and preparing a Life Book. Also included is information on the five important adoption subsidies, tips on discipline, how to make your voice heard as a foster parent, and more. 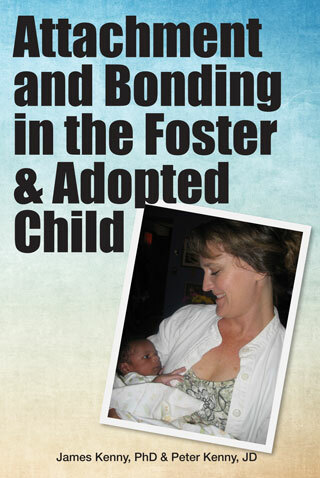 A practical resource for all foster parents, especially those who hope to adopt. What will our future young adults need? Tomorrow’s world will need creators and dreamers. Young adults able to cross borders of race, gender, and geography. And more than ever, they will need to know how to get along and resolve the many problems that arise when people compete for similar goals. The Kennys have raised twelve children, and have been foster parents to many more. They know there are no quick fixes. Their approach is practical, committed, and caring. 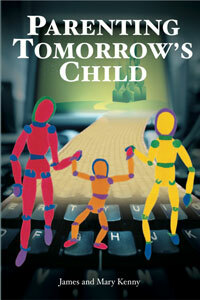 The book provides a concise summary of the normal ages and stages of development. It also offers imaginative and effective ways to shape behavior.